Cleanout/Record Keeping may be done by the owner or by hired help. A rule of thumb for a farmer is $100/hour. Hired help can range from $15-30 depending on experience. Some cleanout will be required when planting IP soybeans. Consider how much total time would be used for cleanout which may include the planter, combine, grain cart, wagon, bin and truck. The estimated clean out time for each piece of equipment is 2-4 hours depending on your operation with an estimated average total of 16 hours for hard IP products. Cleanout may be done by the owner or by hired help. A rule of thumb for a farmer is $100/hour. Hired help can range from $15-30 depending on experience. Limited cleanout may be required when planting high oleic soybeans, depending on each processor's agreements. Consider how much total time would be used for cleanout which may include planters, combines, grain carts and more. Some contracts may not specify any cleanout requirements, and, at most, cleanout should only be a few hours total. IP Soybeans require some additional record keeping to ensure purity. These could include planting and harvest times, crop maintenance, storage and more. Consider how much time it may take you to complete extra reports. The estimated record keeping time is 2 hours, but this will vary per operation. Record Keeping may be done by the owner or by hired help. A rule of thumb for a farmer is $100/hour. Hired help can range from $15-30 depending on experience. Shrink accounts for the change of weight due to loss or gain of water from harvested moisture content to final moisture content. Your elevator may have a standard rate of shrink that they use. Border strips account for the area on the edge of your fields that cannot be sold as IP to protect the purity of the product. How many acres will be border strips? Planting delays occur when you plant commodity soybeans prior to IP. You can eliminate delays by planting IP first. Delays should only be considered after the optimum planting period in your location has passed. Estimate: 0.4 bushels per day decline. Harvest delays occur when you harvest commodity soybeans prior to IP. You can eliminate harvest delays by harvesting IP first. Delays should only be considered if harvest occurs after the ideal harvest time. Some farmers consider unused space in their bins as wasted space. If you think your bins would be left unfull, you can add numbers here. Select a class of Identity Preserved Soybeans below. Requires maximum purity. Examples include seed production, non-GMO, organic or food grade. Often referred to as specialty. Easier handling procedures. Purity requirements not as stringent. First we'll need to learn about your farm's current production. 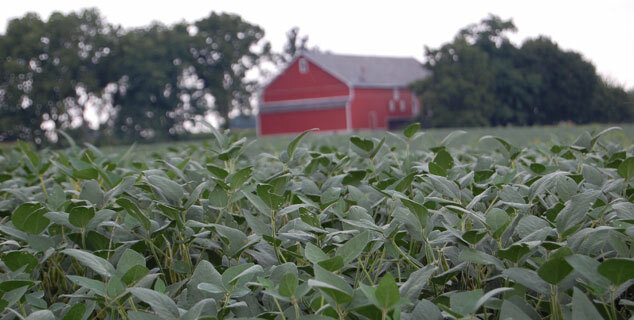 This will help us set a baseline for comparing identity preserved soybean production. Cleaning out equipment and more detailed record keeping can require additional time. Let's estimate any additional labor costs you will incur. Finally the delivery of identity preserved soybeans can create additional expenses. If you will be delivering to a different location than your normal delivery point, you can calculate those costs here. Drag the slider to modify your IP yield. Equipment Cleanout What does cleanout involve? Record Keeping What does record keeping involve? Shrink How do I determine shrink?